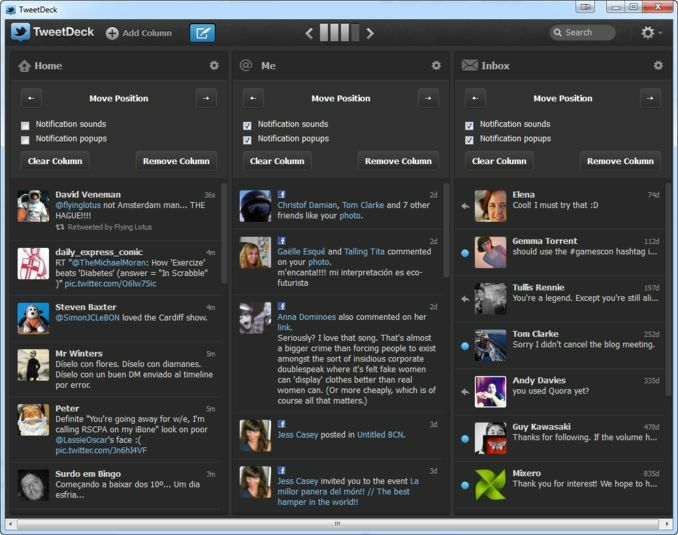 TweetDeck is a social media dashboard application for management of Twitter accounts. 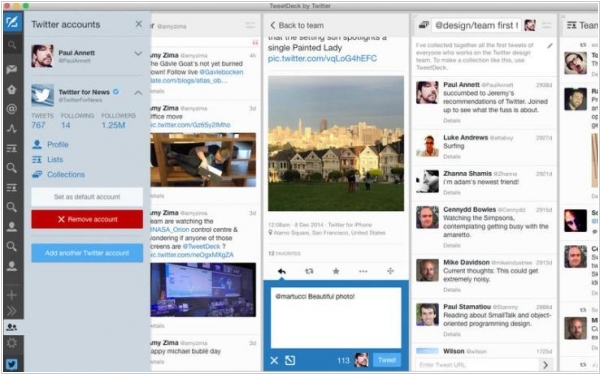 The most powerful Twitter tool for real-time tracking, organizing, and engagement. TweetDeck – the Twitter's app used by social media professionals and businesses has introduced support for shared access to Twitter accounts through a new “teams” feature. It allows a Twitter user who manages a given account to delegate access to as many others as they like, then remove that access when it’s no longer required. To do so, the process is fairly simple – the user selects the account they want to provide access to, then types in the name of the delegates to authorize. Those users then receive an email invite which they have to accept in order to join the team. For companies who have multiple staffers managing their social media presence, the addition is a welcome change over the current process, which in the past has often involved the sharing of passwords directly.